It has been a commonplace, since the late 1990s at least, for house music and techno DJs to create, as a bridge between rhythm runs, jet streak effects. There were jet streak effects even in late 1970s Eurodisco and beyond; their appearance as a kind of intermission in techno, especially, simply honored dance music tradition and moved it upward. At RISE Club last night, however, Omid Nourizadeh, also known as “Omid 16 B” — Tehran born, but for a long time living in England, didn’t just employ streak effects; his set centered on them. His streakies soloed; they acted like soprano diva vocals, lifting the music, screaming it, a throat of ecstasy. Placing the spotlight on streak effect breaks has portended in techno for quite some time. All that Norizadeh did wass to give in to the movement and make it his mark. this he achieved. Again and again his streak effects displayed complexities all his own : notes soprano and higher than soprano, metallic clinks and twinkles, breezes, wind rush, pants and gasps, twists and rope knots of scream, screech, and cheering. Usually, a DJ’s streak effect breaks stop the dancing; not so for Nourizadeh. RISE’s crowd dacned across his streak breaks. Using only Rise’s mix board and two CD players, programming many of his own tracks — including the luscious “Slide To Unlock,” a graceful and echo-laden “Double You,” the chanted “Yeah Yeah,” and “Blue Jeans,’ his and Lana Del Ray’s much updated equivalent of the reverb, undulating rumble and girl in heat duet that Giorgio Moroder and Donna Summer, in “I Feel Love,” rode to dance music glory so long ago — Nourizadeh made forty years of disco, house, and techno very much his own. 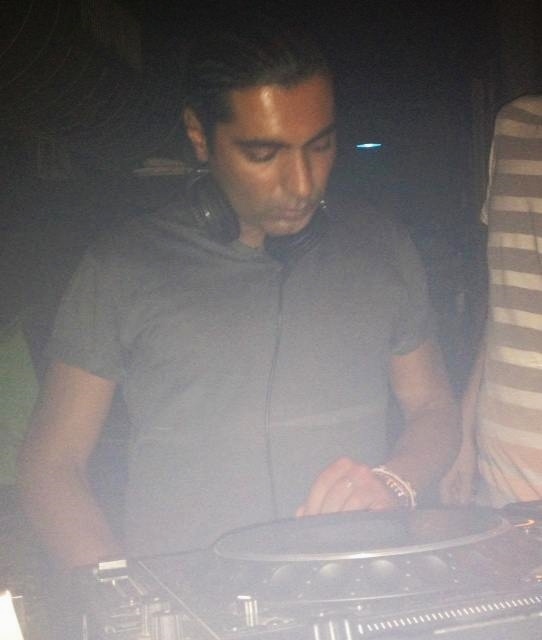 That music is not something that he has learned after the fact Nourizadeh has been active in DJ-ing for 20 years. his first album, Sounds From Another Room, appeared in 1998. though less known in the Us than fellow Iranians Dubfire, Sharam, and Behrouz, he is their contemporary. And, as he made fair to prove at RISE, of a dance music imagination as dominant as theirs. Though his reverb bass lines, Brazilian rhythms, and girly chant drop-ins all recalled the shape and frills of disco, Nourizadeh used none of that era’s instrumental cliches. This was not a set of recaptured memory but of recreation, in entirely different sonic context of disco’s feeling and character. Daft Punk, eat your heart out. Almost all of his set felt trippy, spacey, gently psychedelic. Deep beats rolled and rumbled, then strolled coolly, then morphed to samba, as soundscapes of innumerable siren provenance glittered in the upper frequencies. Much of Nourizadceh’s high note evocations sounded like Iranian or Kurdish pop — a soulful wail, falsetto notes, a mountain top flute yodel. In which mode he reminded this writer of Dubfire’s sound; but he did not linger in Persian mode. Into his soup of seduction he dropped street talk, reggae toasts, John Ciafone’s classic “Club Therapy,” cries of “you can’t stop,” and even a chant that went “you’re crazy, Limbaugh !” No one on the RISE dance floor cared to disagree with that ! Having dropped his Limbaugh message, however, he rapidly quick-cut the music to puckering glam-rock — think Erasure and Depeche Mode — whence he jumped to heavy, boot stomp techno leading back to Brazilian beat and a concerto’s worth of streak effects long and tortuous, delightful and pained, embroidered and spangled, a luxury of tactile sounds — especially the strong swirls and twisted spurts and hushes that climaxed his live take on “Blue Jeans.” With an economy of mix moves he made his effect breaks act out the stroke and desire of his rhythms. Dance music has rarely exulted so blatantly, yet melodic, in its orgasmic core as in Nourizadeh’s long strong bursts of liquid sound. Reblogged this on FEELIN' THE MUSIC————.